Around 2012, the Jakobshavn glacier was retreating about 1.8 miles (3 kilometers) and thinning nearly 130 feet (almost 40 meters) annually. But it started growing again at about the same rate in the past two years, according to a study in Monday's Nature Geoscience. Study authors and outside scientists think this is temporary. 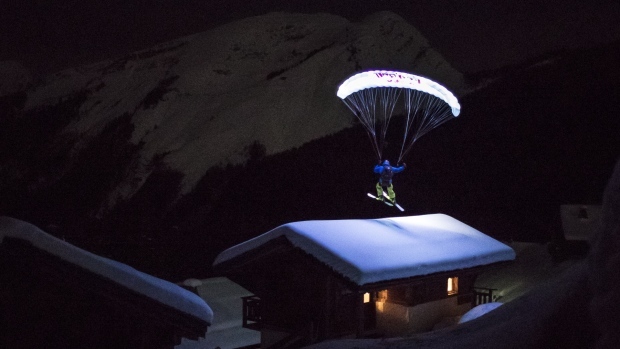 Valentin Delluc, an extreme athlete who mixes freeskiing and paragliding, flew down the Bossons glacier in France in the dark of night with only an LED light attached to his wing.